Tonight on The Midnight Tracker, we have another LP rarely seen while digging for records. The most thorough piece I can find about the group is this 2006 blog post from The Record Robot, which specialized in odd and quirky records. Most sources credit onetime Swan Records owner Bernie Binnick as the sole founder of The Electric Indian. However, the Record Robot post also says ’60s singer Len Barry was a co-founder. Both were Philly guys. Wiki, which doesn’t mention Barry in connection with The Electric Indian, insists the group was “influenced by the popularity of American Indians in the media.” Listening to this record, it’s clear any such influence was superficial at best. At a time when the American Indian movement was gaining strength and respect, here is a record on which the hit single, “Keem-O-Sabe” samples the theme from “The Lone Ranger.” As always, you be the judge. That said, The Electric Indian cranked out some mighty fine grooves. 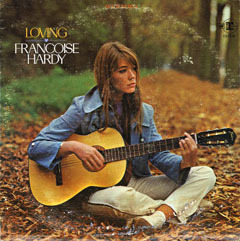 Its members, uncredited on the album jacket, included some now-familiar names. Two legendary Philly rhythm sections that followed soon after in the early ’70s — MFSB and the Salsoul Orchestra — can trace part of their legacy to The Electric Indian. Vince Montana Jr., who’d worked as a Philly session man for a decade, played vibes for The Electric Indian and arranged four of the LP’s 10 cuts. He also wrote its longest cut, the 5-minute “Geronimo.” He eventually joined MFSB, as did guitarist Bobby Eli. Montana went from MFSB to become the conductor of the Salsoul Orchestra. A young Daryl Hall, just getting started in music, was The Electric Indian’s keyboard player. Tim Moore, who became a well-regarded singer-songwriter in the ’70s, was another of the guitarists. Hear, then, the music that led to MFSB and the Salsoul Orchestra. 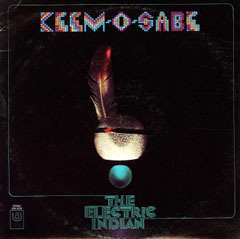 “Keem-O-Sabe,” “I Heard It Through The Grapevine,” “Spinning Wheel,” “Storm Warning” and “Rain Dance,” The Electric Indian, from “Keem-O-Sabe,” 1969. It’s out of print. This is Side 1. It runs a brisk 12:42. The first and last cuts are originals. You know “Grapevine,” the Motown classic, and “Spinning Wheel,” the smash for Blood, Sweat and Tears. “Storm Warning” is a Philly soul classic from 1965, written by Carl Fisher of the Vibrations and recorded by the Volcanos. Tonight on The Midnight Tracker, we have a side that will allow you to do just that. Instantly. Curtis Owsley has been gone almost 40 years now — stabbed to death in an argument outside his apartment in New York City in August 1971 — and there are many who don’t know about King Curtis. 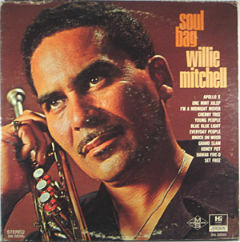 He was a tenor sax player, first with Lionel Hampton’s jazz band in the early ’50s, then as one of the greatest jazz, rock, soul and R&B session men around from the late ’50s on. King Curtis also made a name for himself with a bunch of terrific solo records from 1959 until his death. In the three years I’ve been crate digging, I’ve come across exactly one. I bought it. This is it. Mostly instrumental, as are all of Curtis’ records, “Instant Groove” lives up to its name from the sizzling first cut. Time to get your groove on, instantly, with Side 1 of this great album. That is Curtis on tenor sax, of course. On two cuts — “Foot Pattin'” and “Games People Play — that is Duane Allman on lead guitar. There are two funky Curtis originals — the title cut and “Foot Pattin’.” There are covers of tunes done first by Jimi Hendrix, Glen Campbell, Joe South and Sly and the Family Stone. “Instant Groove,” “Hey Joe,” “Foot Pattin’,” “Wichita Lineman,” “Games People Play” and “Sing A Simple Song,” King Curtis, from “Instant Groove,” 1969. It runs 18:39.